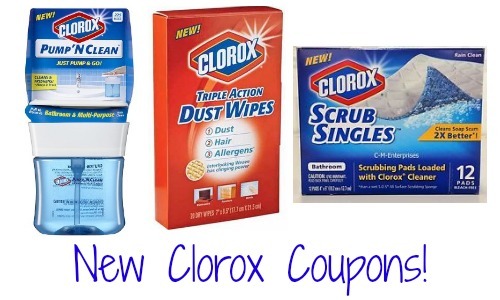 There are (3) new Clorox coupons that you will want to print to save on Scrub Singles, Triple Action Dust Wipes, and Pump ‘N Clean items. There is a also a Savingstar offer valid for $5 off a $25 purchase of select items including Pump ‘N Clean and Scrub Singles so this could make for some nice additional savings. Go ahead and print them to have ready for an upcoming sale.